Chapters 5– 9 consider experimental design models. 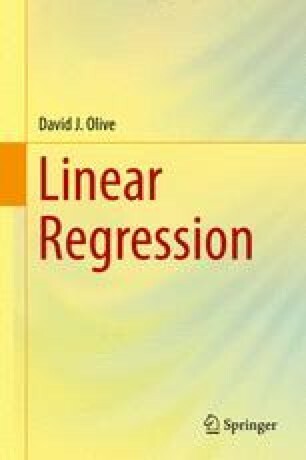 These models are linear models, and many of the techniques used for multiple linear regression can be used for experimental design models. In particular, least squares, response plots, and residual plots will be important. These models have been used to greatly increase agricultural yield, greatly improve medicine, and greatly improve the quality of manufactured goods. The models are also good for screening out good ideas from bad ideas (e.g., for a medical treatment for heart disease or for improving the gas mileage of a car).